For more than 50 years, Dr. Yamanouchi has researched, explored and taught sociology and anthropology. Her expertise in social sciences has been integral for students at several universities, including Marshall University, Livingston College, Frostburg State University, the University of Scranton and Lackawanna College. 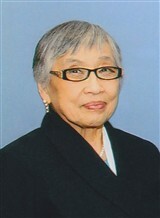 Prior to her teaching career, she worked as a chief research associate at the International Division for Sophia University in Tokyo. Afterwards, she worked at Michigan State University as a librarian and bibliographer. Her experience in academia has also resulted in a position of the Northeastern Intermediate Unit School Board. She has been a member of the president council at Cedar Crest College and a trustee of Tokyo Kasei University and Lackawanna College. Dr. Yamanouchi has been heavily involved in Northeastern Pennsylvania Philharmonic as a board member. One of her greatest achievements comes from Misericordia University, which established the Midori Yamanouchi Lecture Series in 2012.